I am starting to get really excited because soon my sisters will be visiting us in Alabama. They have big plans to help my dear friend Jill thow Baby Coco a baby shower. I am so in love with the invitations and I had to share them with you. She takes custom orders in her Etsy shop, Predilections. Baby Coco's nursery is coming along. Actually it is getting cuter everyday. I wish I could invite you all over to celebrate with me. I wish you could be here too. Those invitations are absolutely divine! I'm completely excited for you to have your sisters there and for Baby Coco's baby shower. They are gorgeous!!! And your package is on it's way! Hope you get it soon! 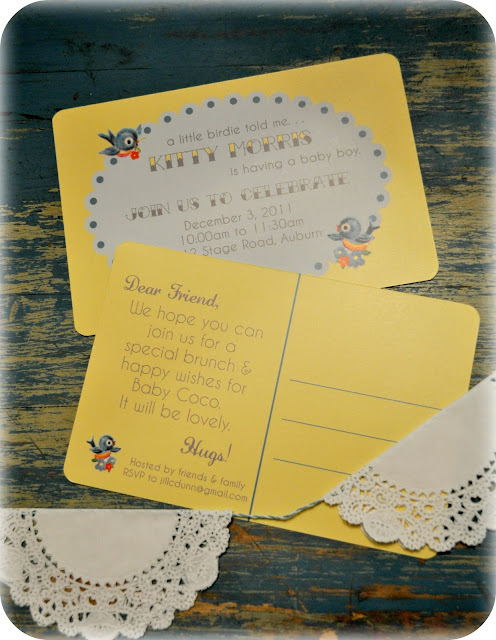 love love love the invitations. and the fact your sisters are coming!!! wishing i could find a way to sneak off to alabama. missing you. sending hugs and all my love! Just got mine in the mail! Love it! I cant wait to see you and baby RoCoco! I bet I can get him to kick for me. I had to add these on Pinterest for future reference. Sooo cute! 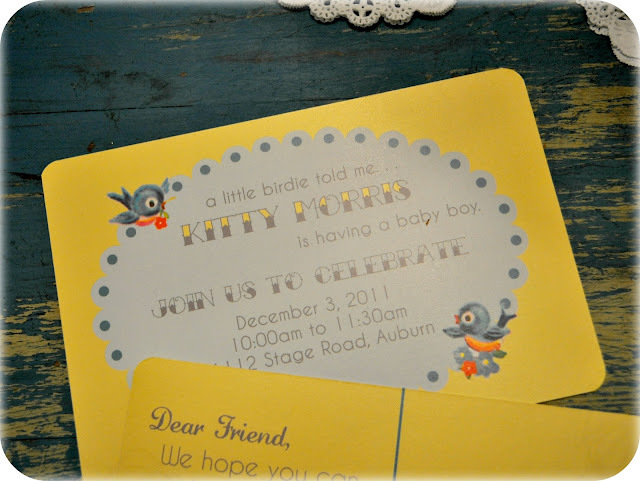 These adorable invites are so you! I love them! I am so thankful your sisters get to come and enjoy this special time with you :) I wish I could come celebrate baby Coco too! Sweet you, your loving sisters, and your caring friends prepared such a beautiful, detailed, and very special Coco shower with so many unusual details. We loved it!